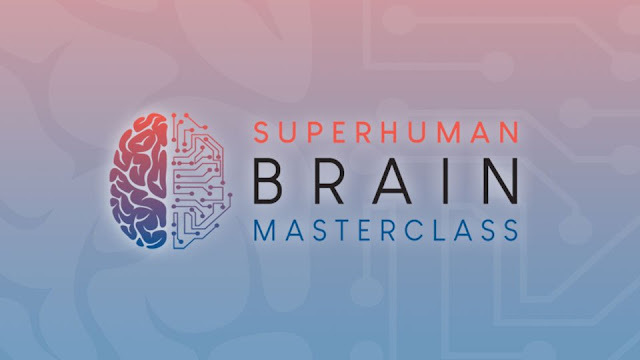 [Superhuman Brain Masterclass]: Day 1 – Superhuman Brain started today! Discover natural solutions to prevent brain disorders! The Superhuman Brain Masterclass started today! Don’t miss 30+ amazing experts teaching you about how to prevent and heal from brain disorders and optimize brain performance — learn with me today online for free! The Superhuman Brain Summit starts on Monday, December 3rd [Register for free now! ], and tens of thousands will learn from the expert wisdom to gain increased energy, mental clarity and rapid healing for next-level brain performance — BRAIN UPGRADES! Will you be there? You should be. Because brain diseases and disorders start 15-40 years before they’re diagnosed. These experts will teach you the best ways to prevent these disorders by upgrading your brain to superhuman by leveraging existing technology, nutrition and advanced protocols. It’s time to become SUPERhuman — it’s the upgrade you’ve been waiting for, whether you’re in need of healing OR enhancing your brain! At this free event, you’ll learn the SUPERhuman Brain proprietary methodology, a world-class education from Drs. Isaac Jones and Ryan Wohlfert that uses simple checklists and step-by-step solutions. 1. Register immediately to make sure you’ll see the free talks! *When you purchase the talks, you gain long-term access to learn from them at your own pace, plus access to the transcripts AND you unlock the bonus eBooks and eGuides from these amazing speakers! See you at this important event! P.S. Disorders like depression, anxiety, headaches, ADHD, memory loss, epilepsy, dementia and other neurological disorders are MORE prevalent than ever before! It’s time to upgrade your brain, click here to register for free now! #SuperhumanBrain started today! Discover natural solutions to prevent brain disorders! Join us in promoting The Superhuman Brain Masterclass, taking place December 3rd – December 9th, 2018, 2018! Note: After registration, it may redirect to Episode 6 instead. No worries, there will be a replay encore weekend of the whole series. Watch Autoimmune Secrets Episode 1, 2, 3, 4 & 5! Are you loving the Autoimmune Secrets docu-series so far? The feedback and support has been amazing. I’m reopening all episodes for 24 hours, starting NOW! So you can catch what you’ve missed! But remember we’re not going to do this again, so make sure you don’t miss any of the upcoming episodes as they will be screened for free for 24 hours each! Also, here are some essential points about tonight’s episode. Episode 5, Autoimmune Truth: The Connection Between Your Gut & Your Brain, airs for Now. Click this link for Episode 5. We might just open the episode a little earlier tonight, so keep your eye out for it. We’ll be sharing the critical steps you need to take today, for whatever autoimmune disease you or a loved one is facing. It’s critical. I bet you’ve never even heard a whole bunch of what you’re about to experience tonight. It’s a game changer. P.S. To make sure you don’t miss any of the future episodes, click here to register now. P.P.S. Big news! You asked – and we listened. 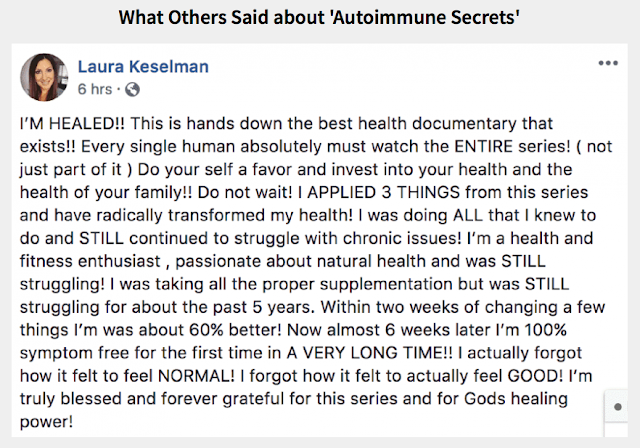 We’ve been having so many comments from viewers, just like yourself, who have loved the information in the series, but would love an easy, step-by-step guide on EXACTLY what to do to reverse their autoimmune disease. And so that’s exactly what we’ve provided! 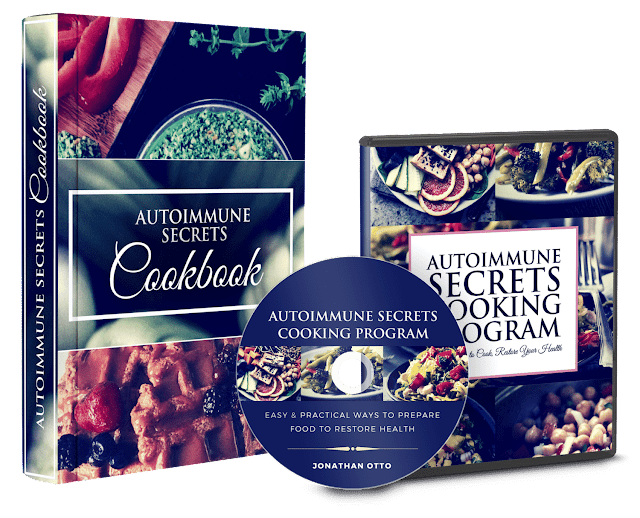 The Autoimmune Recovery Protocol is a digital 6 module action-plan that’s jam-packed with protocols you can start today. You’ll also receive access to 6 Live Q&A sessions with our world-leading doctors, where you’ll be able to ask any question you need! 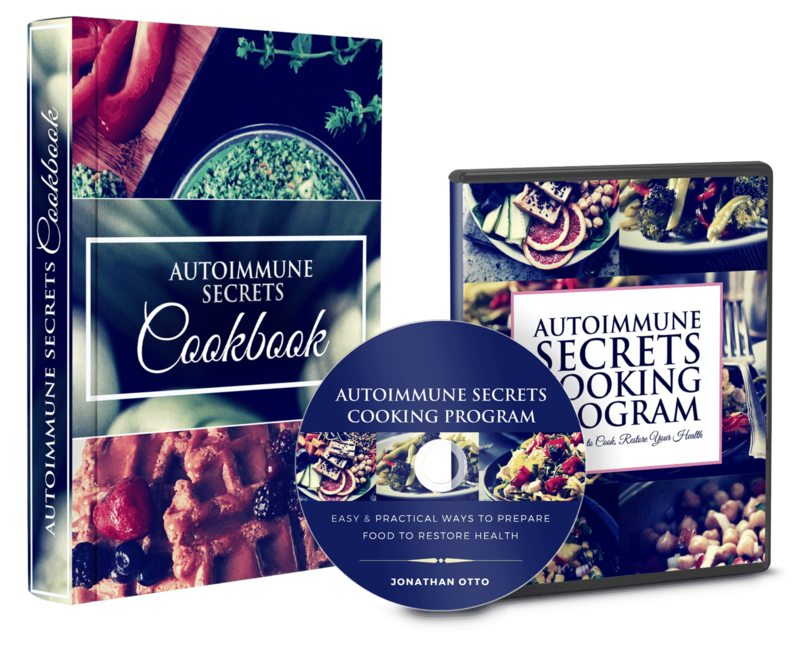 The Autoimmune Recovery Protocol comes at no extra cost when you choose to own the Autoimmune Secrets series (which is currently 67% off). 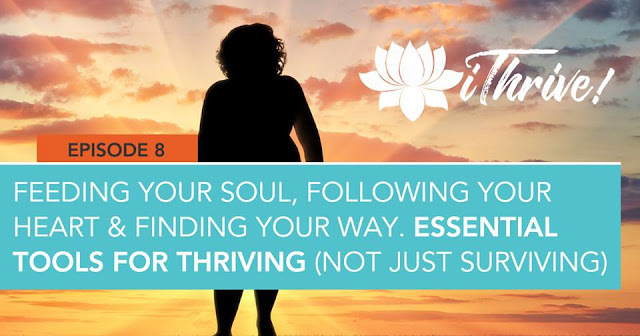 We’d love to have you join us as an affiliate for this awesome event — delivering more information for the world to live healthier and happier lives…it’s what we all do! Thank you in advance! Are you ready to watch something that could change your life? Or the life of a loved one? Please note that each of the 7 Episodes only air for 24 hours, so now is indeed the time to invite others to join you on this fantastic journey. 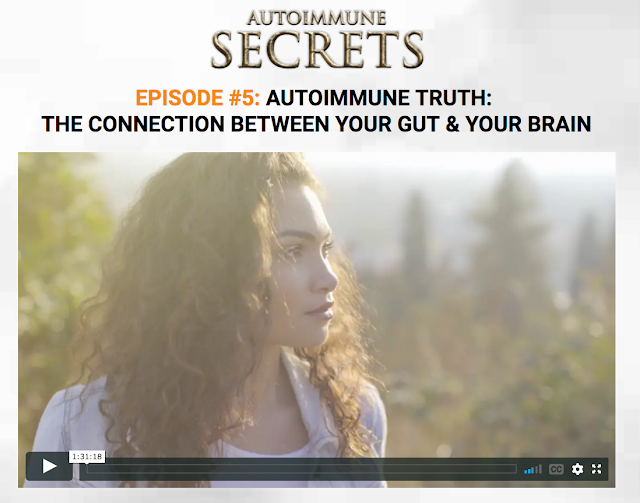 Also, deepen your learning by downloading the “Autoimmune Amazing Facts 7-Episode Companion Workbook” by clicking here, so you can follow along with the series. Just scroll down underneath the video on the page & follow step 1 by simply clicking the button on the page, and you’ll be sent this special gift immediately through Facebook messenger. 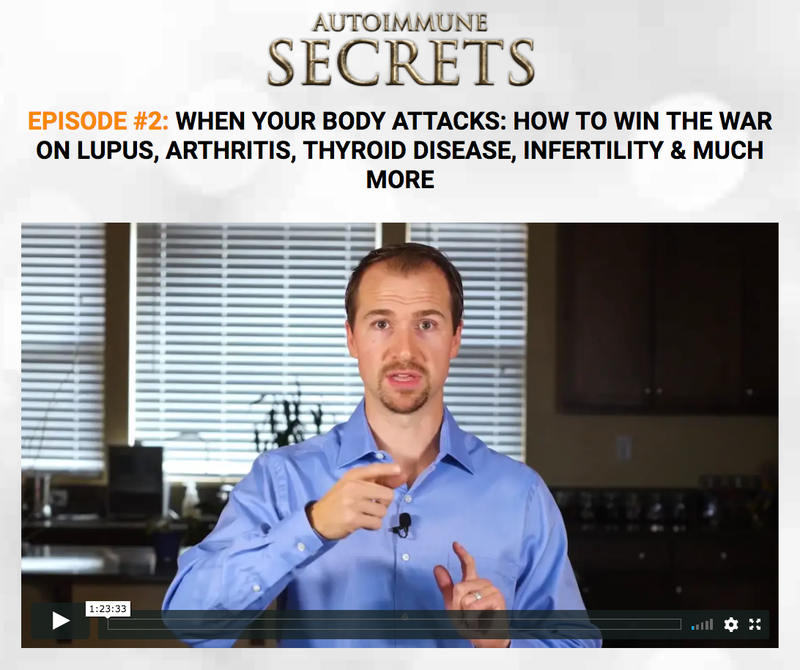 ~ You’ll learn about how autoimmune disease works, and how it affects the body. 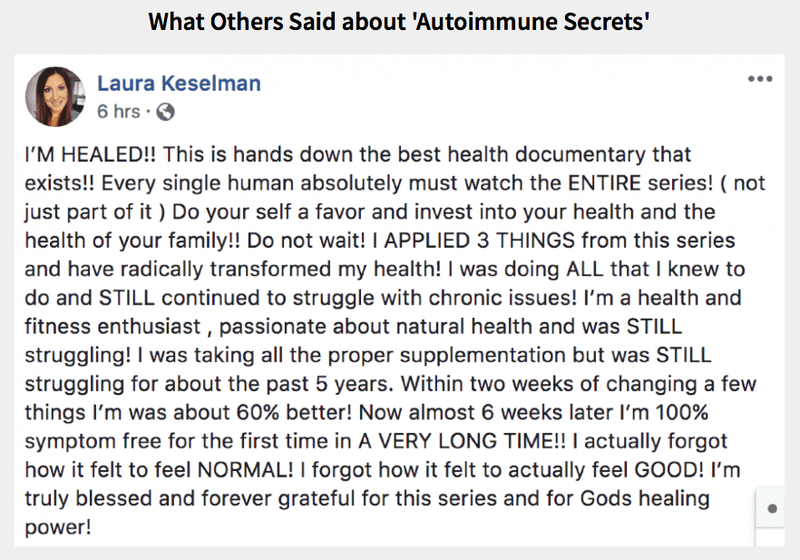 ~ You’ll meet some wonderful people I had the pleasure of meeting, who share their stories of reversing their autoimmune diseases & you’ll learn HOW they did it. ~ You’ll meet many of the world-leading doctors, researchers, and scientists who appear throughout the series. ~ You’ll learn about extremely effective protocols you can begin implementing from the comfort of your own home. 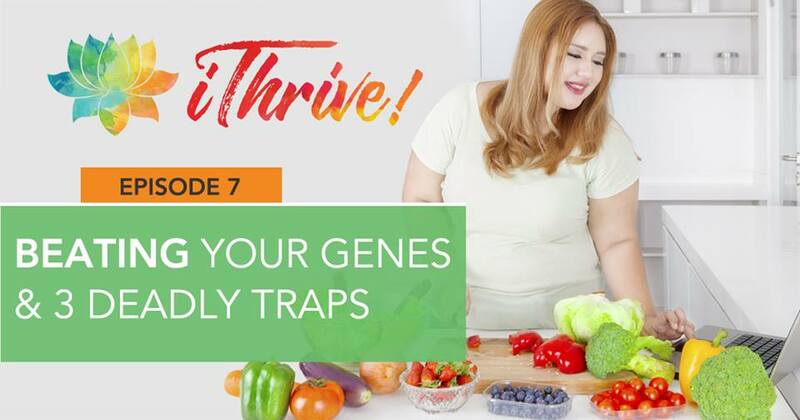 ~ Plus, you’ll hear about the controversial nature of using holistic approaches to autoimmunity and why these advanced treatments are being ignored or even attacked by mainstream medicine. After you watch, help us spread the word by sharing with your family and friends, and also commenting in the section below the video. Again, you can go to this link to watch tonight. P.S. To make sure you don’t miss out on all the 7 free Episodes click here to sign up free of charge. [Health Hacker f(x)]: Day 2 – Hear from cutting-edge experts and hack yourself to better health! 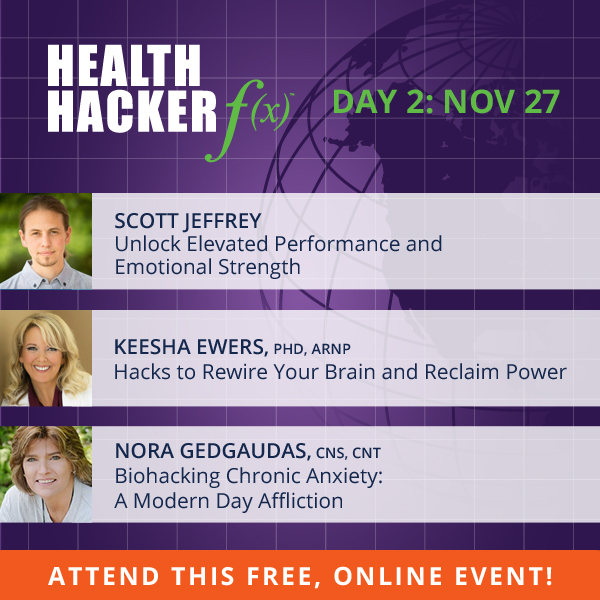 Today at Health Hacker f(x), you\’ll hear from cutting-edge experts about hacking into mind, soul and spirit work. Scott Jeffrey explores emotional strength, while Keesha Ewers and Nora Gedgaudas share ways to work through unresolved trauma and anxiety. Learn from the experts who hacked their way to better health! There are more health-optimizing tools and resources NOW than ever before — you don’t have to be a doctor or rocket scientist to hack your way to exceptional health! Our doctors, practitioners and health hackers are here to help you forge your path to a vibrant, healthy life! 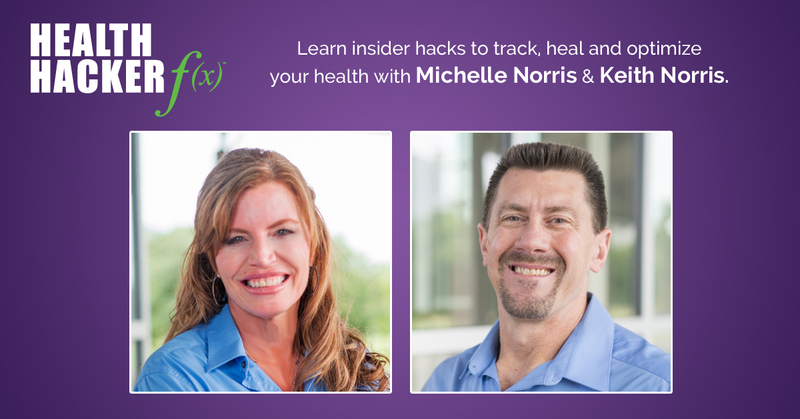 [LEARN TODAY] Hear from cutting-edge experts and hack yourself to better health! 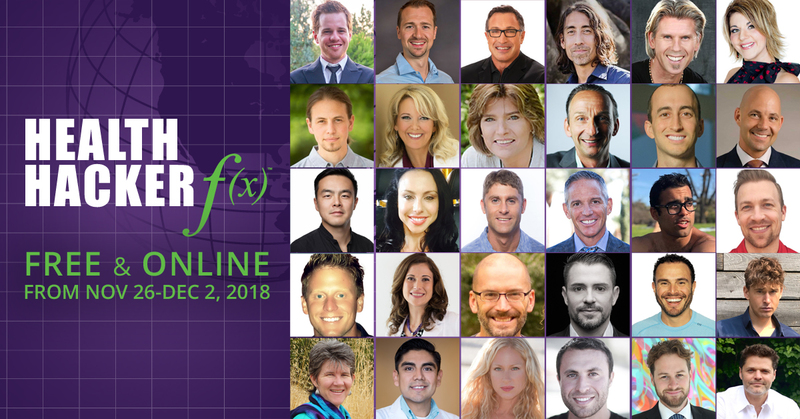 Join us in promoting The Health Hacker f(x) Summit, taking place November 26 – December 2, 2018! There are more health-optimizing tools and resources NOW than ever before — your fans and followers don’t have to be a doctor or rocket scientist to hack their way to exceptional health! Our doctors, practitioners and health hackers are here to help them forge a path to a vibrant, healthy life! Plus, this event is taking place on the Health Talks Online / HealthMeans platform, which regularly returns $2-4 earnings per lead and pays out more than $1MM in commissions each year. AND, any new leads you deliver to a Health Talks Online event means you’re also set as the commission lead for their new monthly subscription community, HealthMeans, and any of their events for the lifetime of the account, including such upcoming topics as brain health, fasting, thyroid disorders, mindfulness, pregnancy health, toxic mold and more! [Health Hacker f(x)]: Day 1 – Claim insider secrets, biohacking tools and deep-healing protocols! Health Hacker f(x) started today! Don\’t miss 30+ amazing experts teaching you how to hack your way to better health! Learn with us today online for free! Do you even need conventional medicine? STOP waiting for a doctor to tell you how to reclaim your health — this is YOUR journey, and the strategies you need to innovate and hack your way to exceptional health and wellness are ALREADY available! The team at Paleo f(x) has seen countless lives turned around using the systems, processes and techniques covered that will be covered at The Health Hacker f(x) Summit [register for free now!]. One case in particular: 100 lbs overweight, heavy smoker and drinker with out of control diabetes and blood pressure issues, complete loss of libido, bleeding gums, was on over 15 prescription medications, etc. Within 1 year of working with him, he’d lost 120 lbs, was off all prescription meds, felt great (and looked great!). No magic was involved; just a mix of the interventions that will be covered at Health Hacker f(x) — methods available to ANYONE who wants to pursue them! This event was created in the belief that everyone, equipped with the right information and motivation, is not only capable but responsible for their own health, vibrancy and wellbeing. In fact, to outsource that responsibility (to your doctor, the government, etc.) is to devalue yourself. The Health Hacker f(x) Summit is here to provide the tools, inspiration, systems and processes to facilitate your exceptional journey! 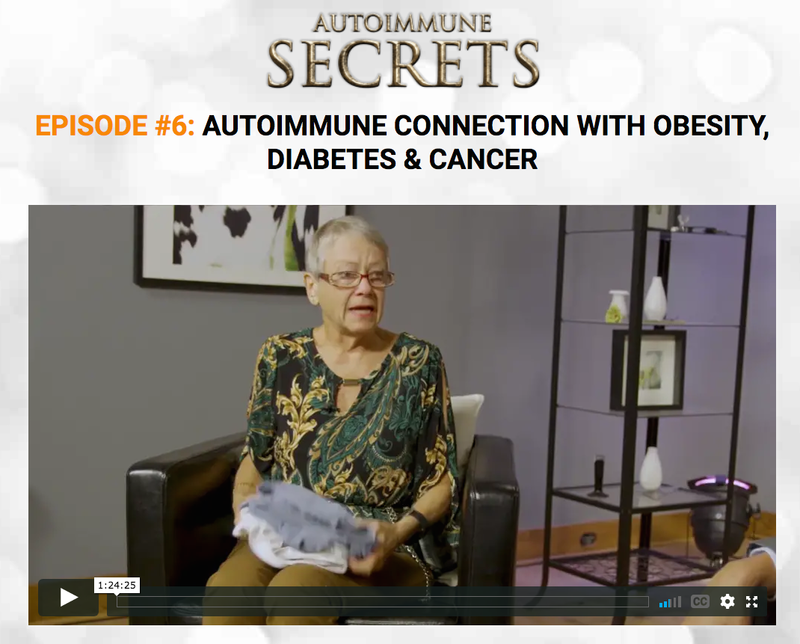 [iThrive: Rising from the Depths of Diabetes & Obesity] – Encore Weekend Replay! Our iThrive! Bonus weekend is in full swing! 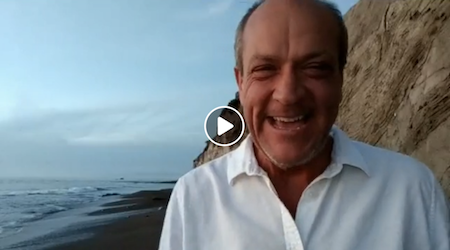 By sharing more inspiring new videos and I’ll be hosting 2 LIVE Q&As! >> PLUS we’re extending our Early Bird Discount until Sunday at midnight! Today is Thriver Story Saturday! Did you see Kenny’s amazing transformation? Did you see my LIVE Q&A? Go here to watch the replay. And now it’s time to watch Anthony’s full story of losing 160 lbs, as well as Dave and Rebecca’s stories! I’ll be sharing video clips from my own transformation over the past year. These clips are raw and real. They are vulnerable, inspiring and educational. And I will again host another LIVE Q&A with me where you can ask me WHATEVER you want! Sunday (tomorrow) at 4pm Eastern, 1pm Pacific. We’ll broadcast LIVE from our iThrive Facebook page. PS. The Bonus Weekend expires Sunday at midnight Eastern. And so does your chance to pre-order iThrive and save 50-60%! Join the thousands who are choosing to own the full iThrive series. Go here to watch any of our Sneak Peek videos (Google Drive), you may have missed, and get excited about what you’re about to see in just a few hours! We’d love to have you join us as an affiliate for this diabetes event — delivering more information for the world to live healthier and happier lives…it’s what we all do! [EPISODE 8] End your diabetes with FASTING? YES, Episode 8 is LIVE! Click here to watch. What are the tools you need to thrive? Tune in for tonight’s episode to learn more about fasting and re-connection. And you know what? FASTING made a huge difference for me, and launched my own transformation! So, let’s talk about fasting–and a complete toolbox for Thriving! >> Episode 8: From Fasting To Re-Connection. Essential Tools For An iThrive Lifestyle. This is how we THRIVE! PS: The iThrive docuseries is soon coming to a close, and we can offer it to you at up to 60% off when you PRE-order before we stop airing (at end of Episode 9). (We’re able to offer this discount because we’re placing a bulk order this coming Monday). Having all 60 interviews and 9 episodes of the iThrive docuseries at your fingertips is a great way to keep yourself thinking, talking about and doing what it takes to Thrive! People ask me how I have been reversing my diabetes and obesity… and a big part of what I have done is revealed in tonight’s episode. Last night Dr. Pompa was brilliant, wasn’t he? You heard him say, “Diabetes is the gateway disease” to cancer and many other diseases. He points the finger clearly at TOXINS as the primary cause of diabetes and as a factor in weight loss resistance! I loved the part where he compared taking hormones (like insulin) to shouting at your kids. It only works well in the beginning, then they start tuning you out and become MORE resistant. And that leads us to Episode 8! Episode 8: From Fasting To Re-Connection. Essential Tools For An iThrive Lifestyle. Go here to watch Episode 7. And I present to you another brilliant expert with fascinating insights into diabetes and obesity! Go here to watch Episode 7, starting right now. We live in a far more toxic environment than we realize. And believe it or not, those toxins are a major factor in causing diabetes! It is time for YOU, I and all of us to rise up from the mud of toxicity, and THRIVE again! It’s time for us to rise up and live a life as beautiful as that lotus flower. THAT is the human journey. To overcome. Trust me, you won’t want to miss this. Here’s to your best life for the rest of your life :-). PS. Feeling like you’re ready to RISE UP and make a stand for your life? Join the thousands who now own the entire documentary series and all the extras including all 9 episodes, bonus episodes, 60 expert interviews, and unannounced Bonus Features including my Step-By-Step Transformation Video Series, and Q&As with me and a few of our iThrive experts! PLUS, a Free copy to give to a friend. We couldn’t resist—BONUS Episode 10! Register quickly to watch this bonus episode, if you haven’t already! Register quickly to watch this bonus episode! Great News! …Because of you! You’ve responded with an outpouring of enthusiasm and support beyond what we ever could have envisioned. It’s been such a wonderful response from you, our Healing From Vaccines Masterclass students. It’s been a journey of the heart, nine days of amazing stories, inspirational healing techniques and awe-inspiring results—and we couldn’t have done it without you. 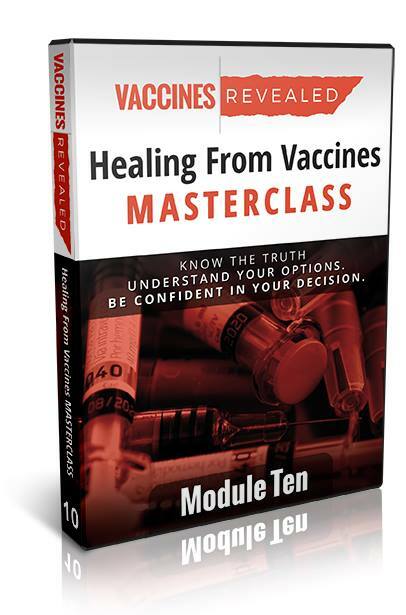 You’ve watched, shared, and many of you have taken advantage of our current deep discounts and purchased the Healing From Vaccines Masterclass for your home library or as a gift. We are humbled and truly touched by your response and support! So, to say “Thank You” to all of you who have made this event a success, we put together a bonus for you—a tenth exclusive episode, full of material that was just too good not to share (even though it didn’t make it into the original 9 episodes in this series). In this brand-new, never before seen episode, you’ll meet Dr. Billy Demoss, a chiropractor of 32 years and the creator of Cal Jam—a huge global event for practitioners who choose not to vaccinate and other like-minded professionals where they can share information freely in a safe, supportive environment. 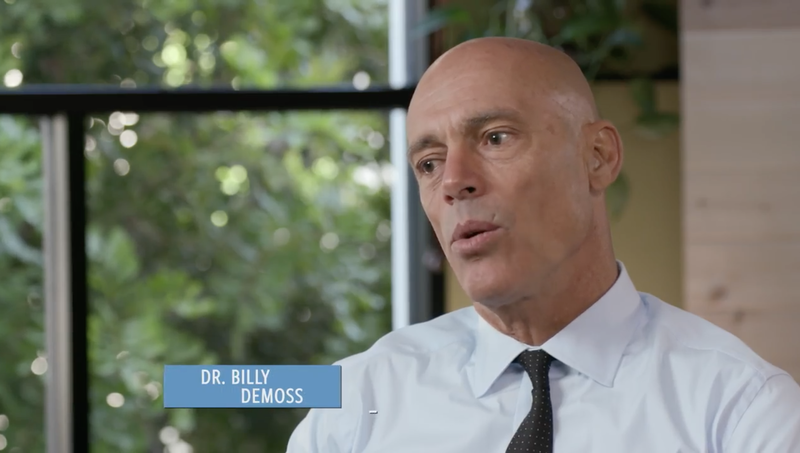 Dr. Demoss loves life, and to see kids vaccine injured and unable to live life to the fullest makes him angry. Its’ a public health issue, he contends, and when you see this over and over it makes you upset. Vaccine injury is stealing away the quality of life for children across the nation and our government is making it harder and harder for people to opt out and avoid being damaged. This is a must-see module that addresses the state of the vaccine agenda, the tightening of vaccine laws, and the disturbing direction that our freedom of choice is taking. Enjoy this bonus episode that we put together for you! Again, thank you to every one of you that has joined us in watching the Healing From Vaccines Masterclass during this free viewing event! Please consider joining with us to purchase your own copy. We’ll be re-opening the cart during the airing of the bonus episode for those of you who may have missed out on the Replay Weekend. Get your copy now to share with family and friends who are also confused and have questions about mandatory vaccination and the laws surrounding it. You can go to that link or call our customer support team at (801) 461-3310 to place your secure order. P.S. Hurry before the special extension of the Healing From Vaccines Masterclass series wraps up, so you can still benefit from the HUGE “family and friends” discount we are running! CLICK HERE to get your discount now. Since most of the docuseries events keep their 1st episodes online, we are going to embed the video here for your enjoyment. If you want to see the rest, please register to watch the rest of them. • How innovative neurological therapies (like the “Brain Tap”) are utilizing light and sound therapy to help reverse vaccine damage and treat disorders like autism, anxiety and ADHD…. • The incredibly corrupt process by which vaccines are created and thrust onto your family (get ready – this one will get your blood BOILING). We think you’ll love joining us as an affiliate for this Healing From Vaccines Masterclass event. Your followers are hungry for answers. Together we’ll change lives, and you’ll get paid well for your efforts. Questions? We’ll reach out personally to get you everything you need to make this event a success. Contact our affiliate manager Christi at Christi@RevealedFilms.com for any help you need. Still need to register to be an affiliate? Click below to get started! P.S. Healing From Vaccines Masterclass and Christ Revealed are on this same platform. 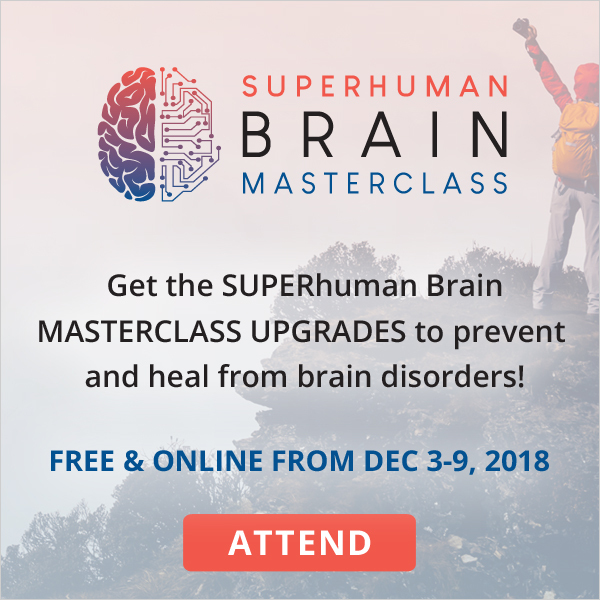 [Superhuman Brain Masterclass]: Day 5 – Solutions to heal brain injuries, concussion and trauma! [Superhuman Brain Masterclass]: Day 4 – Drs. Wohlfert and Jones explore brain detox and healing strategies! [Superhuman Brain Masterclass]: Day 3 – Improve memory and mood by upgrading fitness and sleep! [Essential Oils for Abundant Living Masterclass]: Day 1 Begins Tonight!